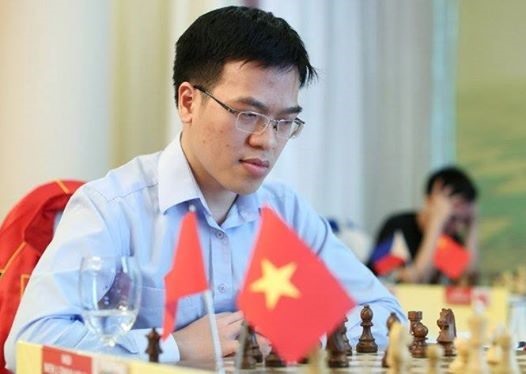 HÀ NỘI — A fourth draw pushed Lê Quang Liêm to the No 3 spot in the Danzhou Super Grandmaster Tournament in China yesterday. The Vietnamese athlete drew with Arkadij Naiditsch of Azerbaizan in the fifth match. He now has three points, while Naiditsch has 2.5 points and is in the fourth position. Liêm will next play Chinese Wang Hao, currently placed fifth, in the next match. Wang tied with Vassily Ivanchuk of Ukraine yesterday. China’s Wei Yi stayed at the top position after five matches. The youngest master secured his second win after beating fellow countryman Yu Yangyi, and now has four points.